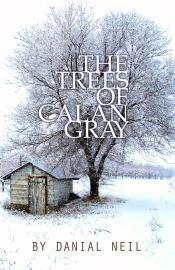 Calan Gray talks to trees. They speak back to him. Not in words, exactly; he hears the language of trees. They become his sanctuary against a violent father who wishes to commit him to an institution for expressing such delusions. It is 1964, and the world is a harsh place for those who are different. When his grandfather, Dunmore McLeod, arrives from Scotland, Calan begins a journey against a backdrop of trees, from the hard, rural, prairie life of the sixties to the birth of environmentalism on British Columbia’s west coast, where, in 1971, protesters sailed to Alaska to stop the Amchitka nuclear blast. Under the tutelage of Grandpa Dunny, Calan struggles to understand a world view in which an intimate relationship with the land is something to value, not denigrate, and he comes to know the different ways of being and knowing in the natural world. In a prose that is haunting and lyrical, Danial Neil weaves a romantic tale that is unsettling, profound and ultimately liberating.